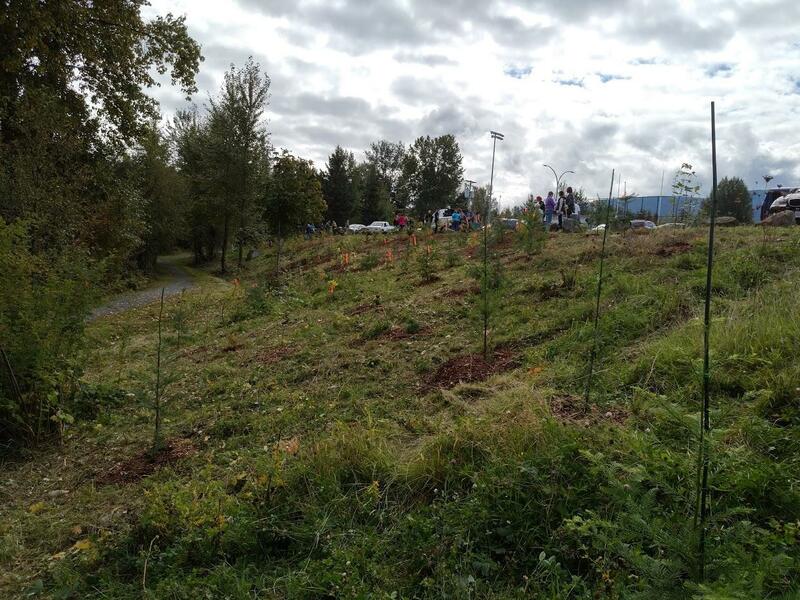 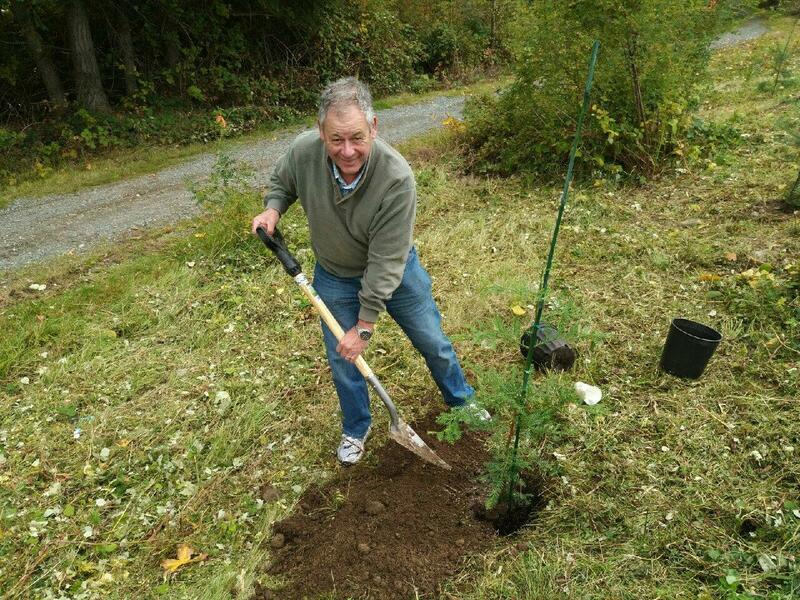 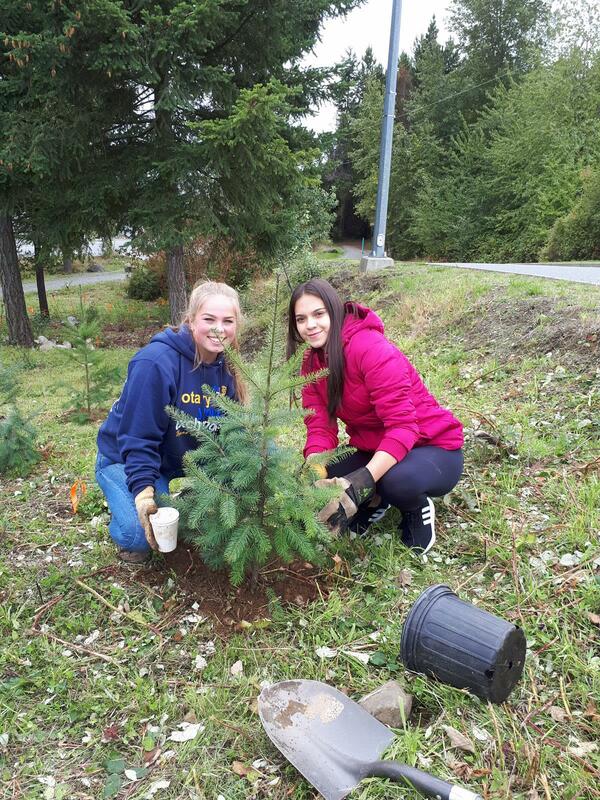 On Sunday September 23rd, our volunteers along with those from other clubs in area 4 marked the beginning of National Forest Week by planting trees on the bank below Merle Logan Fields (2253 Dorman Road). 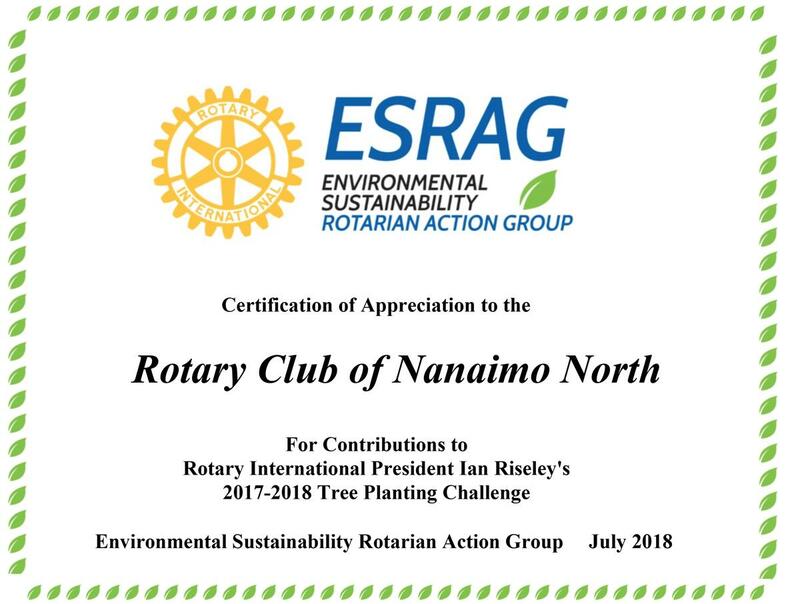 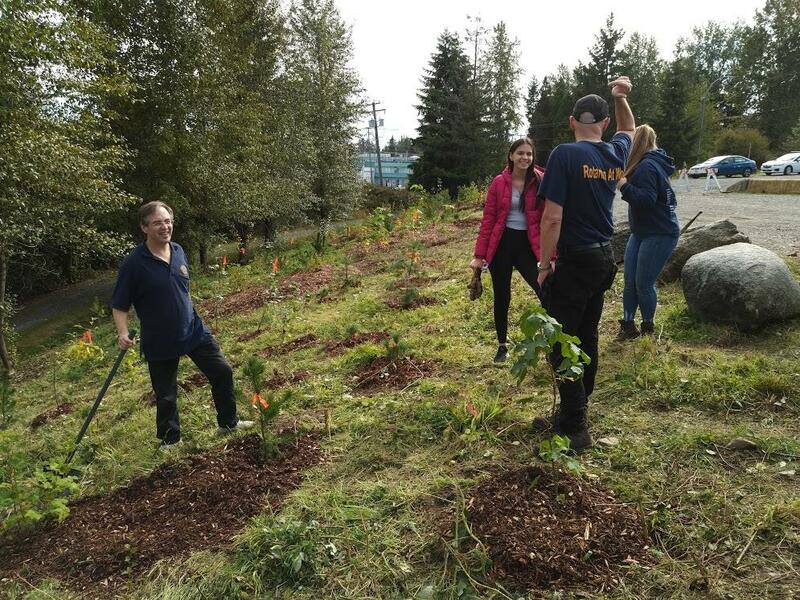 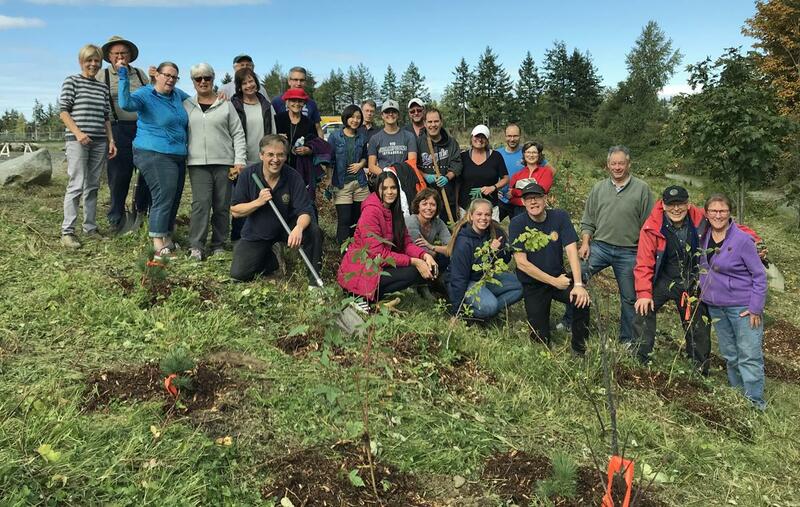 Planning was started in the previous Rotary year under Jim Turley, but the project was postponed by request of Nanaimo Parks. 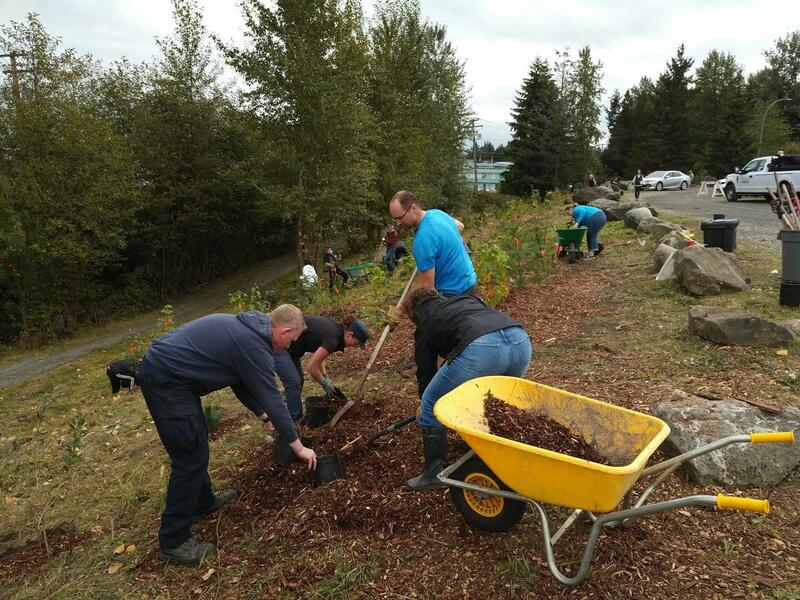 Thanks to city parks staff for their support; they dug many of the holes, delivered the trees, provided mulch and symbiotic mycorrhizae for the roots.